Share the post "Pen Pals for Children"
My daughter is now 5 years old. She’s in Reception at school and is thoroughly enjoying learning how to read and write. The messages that we get home are about encouraging writing in any shape or form, so that our kids are writing for a purpose, rather than just because they have to. So what better purpose could there be than sending a little happy mail and brightening someone’s day? You no doubt know that I LOVE to send and receive snail mail. 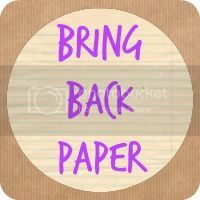 It’s a big part of my #BringBackPaper passion and activities. It’s an opportunity for me to indulge myself in stationery pretties, sit down and relax while penning a letter, and smile whenever one drops through my letter box. It’s a regular, happy habit of mine now, and it’s lovely to connect with other like-minded people, too – I find Instagram to be a great place to see other pretty letters! It seemed only natural that my daughter, who sees me surrounded by letter sets and washi tape quite often, wanted to write to friends of her own. And so now she does. She has two pen pals, Midge and Miss B, and it is so sweet to see the letters and drawings that they send to one another. Boo likes to draw, pop stickers in, pen a note, decorate the envelope – all the fun aspects of snail mailing, and it’s getting her writing for a purpose. She loves it. Her little face when she comes home from school and sees she has a letter is wonderful. And don’t forget the washi! What do you think? Is pen-palling something your children might enjoy? I see it as a hobby to put a smile on their faces, as well as helping them to develop crucial skills.Win, win, right? This is something that I’ve thought about for our little bear but the sceptical/protective/frankly scared side of me just doesn’t want to go there… I’d thought about posting little letters to local friends – those from playgroup and preschool who go to different schools who she rarely sees. That would be a way around it. Reading your post (pun intended!) has urged me on to do just that. I feel a Pretty note writing weekend coming on 🙂 So many pretty things to send too! Yes, I can understand that, exactly why I haven’t set this one up as an organised swap, we do need to be more careful. But yes, finding trusted friends like that sounds perfect to me and a lovely way around it. I do hope little bear enjoys it and the stationery shopping! It’s always worth another try, isn’t it? Any excuse to get some stationery in! Hi Jocelyn,I myself have a friend that I grew up with that I write to and I love receiving letters from him (although my daughter reads them, pulling apart the grammatical errors in them – it’s a pass time of hers!). I used to love getting letter sets for presents as a child and am glad to see that they still exist. My two have never shown interest in writing letters to people although thank you letters were done without argument when they were younger, now they phone to express their thanks. I hope your daughter continues to enjoy writing letters and it does make sense to encourage children to write for a reason and not because they have to. Debbie recently posted…A Much Needed Phone Upgrade! W pen pal with dorkymums son in Tasmania. We all absolutely love snail mail too. The bloogy kids pen pal club would be aces wouldn’t it? That’s a lovely idea, and yes, how fab would that be? !